"Hi, kids. I'm here to teach you about peace through art!" Does anyone else think this is strange? ... 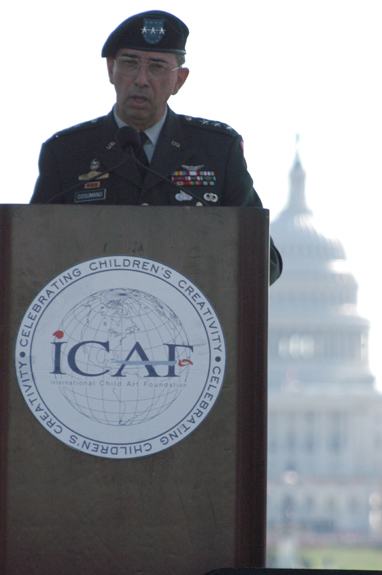 I went to the Child Arts Festival on September 11, and one of the guest speakers was Lt Gen Joseph Cosumano, commanding officer of the Army's Space and Missile Defense Command.